Bertolt Brecht wrote his first play in 1918 at the age of nineteen in response to a successful play by future Nazi Hanns Johst called Der Einsame (The Lonely, 1917). Johst’s play was a romanticized account of the life of playwright Christian Dietrich Grabbe. Brecht had no time for bourgeois sentimentality about artists, his own play being an angry and offensive attempt to separate art from morality. His protagonist, Baal (named after an ancient god of fertility and weather, with an emphasis on storms), is a young poet who is feted by the bourgeoisie for whom he displays open contempt. He fucks and insults his way through the world on a path of destruction and self-destruction, his crude, egotistical, libidinous persona apparently irrelevant to the beauty of his art (which he prefers to recite to drunken workers in low bars rather than enshrine in a book financed by a wealthy patron). The work of an angry young man, Brecht’s Baal is profligate and offensive and he returned to the play repeatedly over several decades as he attempted to absorb it into his more consciously theoretical approach to theatre, but when director Volker Schlöndorff decided to adapt it for German television in 1970, he returned to the original raw text. Schlöndorff, one of the primary figures of the New German Cinema, had at that time completed three features, beginning with his striking adaptation on Robert Musil’s Young Törless (1966). But his most recent experience with Michael Kohlhaas (1969), a multinational production shot in English in the Czech Republic, had been a dispiriting mess which made him question whether he should continue making films. In reaction to that experience, Schlöndorff settled on Brecht’s play as a text and then recruited a young and iconoclastic cast and crew. 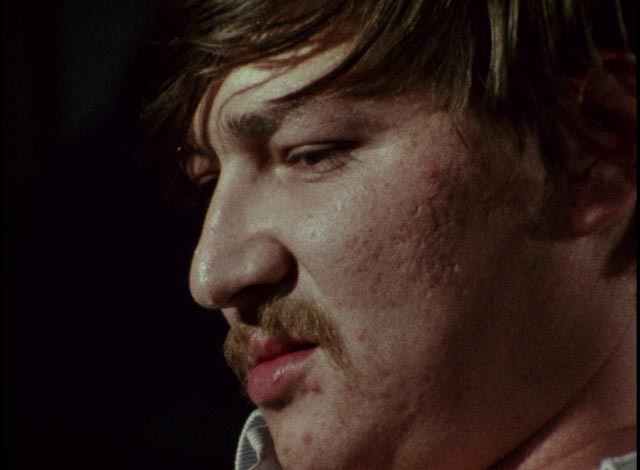 Having recently seen a performance at the Antitheatre in Munich, Schlöndorff made the inspired decision to cast that group’s leader Rainer Werner Fassbinder in the lead role of his project, using other members of the troupe both in front of and behind the camera. 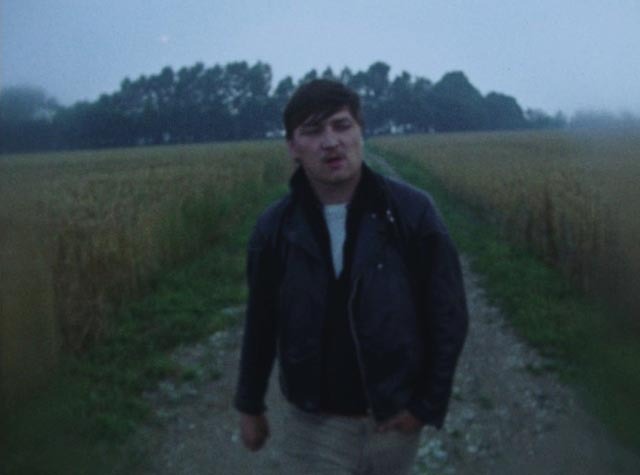 Fassbinder had just completed his own first feature, Love Is Colder Than Death (1969), and Schlöndorff hired Fassbinder’s cameraman Dietrich Lohmann to shoot Baal entirely handheld on 16mm. Everything about the project was diametrically opposed to the polished formal qualities of Schlöndorff’s previous films … and interestingly, those which would follow. Baal is an anomaly in Schlöndorff’s work and seems far closer to Fassbinder’s approach to film – its whole purpose is immediacy, spontaneity and an aggressive assault on the strictures of mainstream cinema, while Schlöndorff’s subsequent work, much of it deeply rooted in literature, is so often carefully crafted to the point of ponderousness. Baal, in contrast, tears at the screen and jabs its fingers into cultured eyes. All of this is energized by the twenty-four-year-old Fassbinder’s sneering contempt for propriety. As an actor, as he was a director, RWF was a force of nature, humming with barely suppressed energy even at rest. Structured into twenty-four brief, only loosely connected chapters, the film opens with a long, restlessly moving shot in which the camera follows and circles Fassbinder on a path through a field, tilting up to catch a glimpse of birds flying overhead before returning to this propulsive figure, closing in for a close profile, then backing away to observe from a distance. Here, in these first moments, Schlöndorff captures the embodiment of elemental forces, while Klaus Doldinger’s jazzy score infuses all this movement with energy and tension while RWF’s voice recites the opening “Hymn of Baal the Great” in an incantatory style, adding a layer of myth to what will follow with an account of this god coming into the world. From this, we cut immediately to an opulent bourgeois salon where Baal is courted by pretentious hangers-on and condescending businessmen. He stuffs himself with food and gulps down alcohol, openly seducing his host’s wife Emilie (Miriam Spoerri), whom he later publicly humiliates. One of his admirers is a young man named Johannes (Marian Seidowsky), who confides to Baal his desire for the virginal Johanna (Irmgard Paulis); Baal seduces, then discards the girl, who commits suicide out of shame. And so it goes; Baal uses, insults, abuses and degrades men and women alike, and yet remains an object of desire because of his creative power. Art is totally separated from morality. But the irresolvable paradox for the poet is that his wholesale rejection of propriety and empathy is also slowly destroying him as well. Stylistically, working through Lohmann, Schlöndorff also smashes the rules of cinematic propriety. The handheld camera attacks every scene, its moves expressive yet violent, the lens smeared around its edges with vaseline to disrupt the very idea of a well-framed image. The performances are raw and painfully revealing – particularly the women, Paulis, Spoerri and Schlöndorff’s future wife Margarethe von Trotta – with Fassbinder himself a riveting presence. Here at an early age, we seem to see fully formed the public persona of the obsessed and absurdly prolific filmmaker (forty films in thirteen years). Baal also gives the impression that here is where the New German Cinema reached critical mass – it was made almost simultaneously with Werner Herzog’s Even Dwarfs Started Small (1970) and shortly before Wim Wenders released Die Angst des Tormanns beim Elfmeter (1972) – and yet after its sole airing on German television, the film was suppressed at the insistence of Brecht’s widow Helene Weigel, who disliked it intensely. 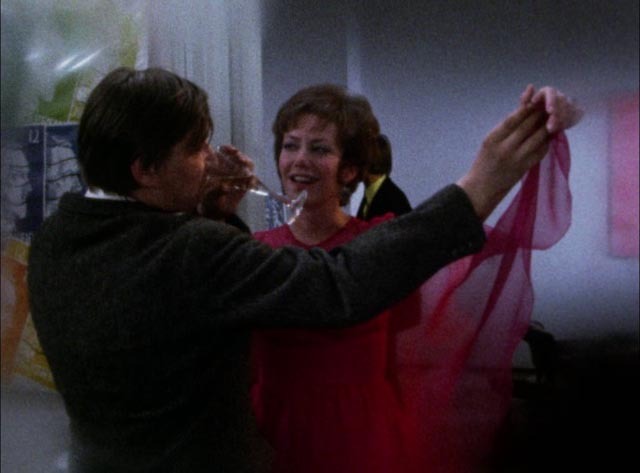 A key film of an important national cinema movement, it has remained hidden for decades, but can now be seen as vitally important if for no other reason than that working on it must have had a profound effect on Fassbinder’s own development as a filmmaker. It’s interesting to compare Schlöndorff’s film with the version made by Alan Clarke for the BBC in 1982. Clarke took a much more formal visual approach, with scenes largely played in tableau on large sets, interspersed with split screens which feature Baal on one side singing the play’s brief songs, while on the other characters move through stylized spaces representing exteriors. Clarke’s approach is deliberately distancing, in contrast to Schlöndorff’s uncomfortably immersive visual style. But the biggest contrast lies with David Bowie’s enervated performance in the title role – rather than Fassbinder’s primal, visceral physical being, Bowie comes across as an almost insubstantial, grubby aesthete, draining the play of its energy. Criterion’s impressive Blu-ray is mastered from a 2K transfer from the original 16mm negative. The image exhibits typical qualities of the format – pronounced grain and contrast, colours which range from saturated to muted and muddy – along with the deliberate degradation of the image through use of smeared lenses. Schlöndorff and cinematographer Lohmann aimed for a deliberately ugly look and the disk reflects their intention. Sound, taken from a 16mm magnetic track, is clear throughout, with Doldinger’s score exhibiting power and depth. Here is where Criterion excel once again. The film itself is a fascinating piece of work, but the extensive supplements enrich the viewer’s experience considerably. From 2015, we have a lengthy interview by Robert Fischer with Volker Schlöndorff (48:07), in which the director sets the production in the context of his own career and the political and social conditions of the time; he delves into the play itself, working with Fassbinder and his other collaborators, and also into the film’s lengthy suppression. Although stylistically Baal differs noticeably from his other work, he makes clear how important the freedom it provided was for him to find direction as a filmmaker. There’s also a brief interview with Schlöndorff from 1973 (4:57), which reiterates some of the points made in the longer interview. Margarethe von Trotta, a notable filmmaker in her own right, offers an interesting perspective in a brief interview (12:01). While impressed by Fassbinder as an actor (and personality), she speaks about being troubled as a feminist by the character she plays in the film – Sophie, an abused woman who clings to her abuser – while recognizing that the work itself in no way condones her subservient behaviour. Film historian Eric Rentschler provides more background on Brecht’s play and Schlöndorff’s approach to the material (17:26). And finally playwright Jonathan Marc Sherman discusses his own 2013 adaptation of the play with the star of that production, Ethan Hawke. They make the point that any production of the play which doesn’t alienate and offend at least part of its audience has not succeeded in doing Brecht’s work justice. The booklet essay is by Dennis Lim. This entry was posted in Review and tagged Actors, Blu-Ray, Classics, Criterion, Directors, German film, Literary Adaptation. Bookmark the permalink.